Listening to loud music in your vehicle can do more than simply cause damage to your ears. Indeed, it also immobilizes one of your five key senses and makes you somewhat oblivious to your surroundings. A perfect example of this is the presence of emergency vehicles. Failing to give the right of way to an ambulance that’s rapidly approaching from the rear or coming into an intersection can be a nuisance at best and a recipe for disaster in the worst case. 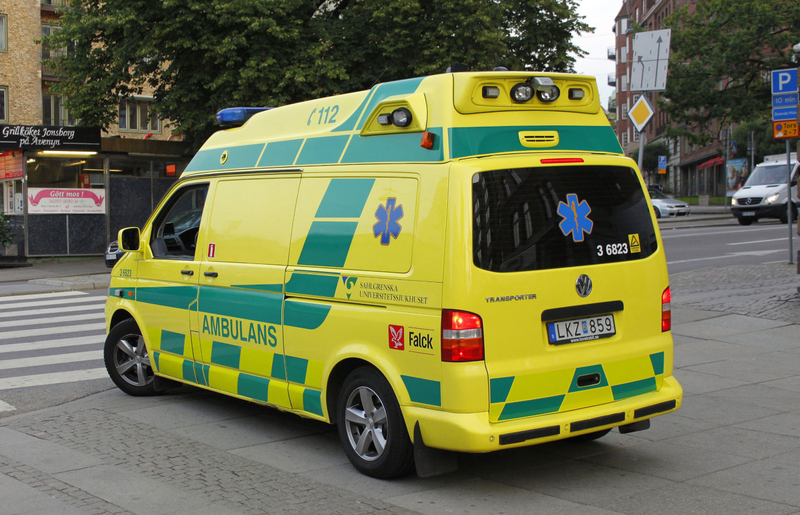 Students at KTH Royal Institute of Technology in Stockholm have developed a solution designed to alert drivers that an emergency vehicle may be heading their way. The system, which will be trialed in a limited number of emergency vehicles this quarter, is designed to give motorists additional time to react by sending out a radio transmission that’s picked up by vehicles equipped with Radio Data System (RDS). If you happen to be listening to music, regardless of whether it’s a CD, an FM radio station or via Bluetooth, you’ll receive a voice warning of an approaching emergency vehicle as well as a text description on the head unit’s display. Florian Curinga, one of three students that developed the solution, says that drivers often have only a few seconds to react and give way to emergency vehicles. The optimal warning time is at least 10 to 15 seconds, he added.